Ahead of Warwick’s Pub in the Park festival, TV chef Tom Kerridge was out and about in the district last week. Our reporter Kirstie Smith had the chance to sit down and chat with him about the upcoming event. Sat in the Warwick district’s very own Michelin-starred pub The Cross in Kenilworth, TV chef Tom Kerridge is excited to be bringing his Pub in the Park festival to Warwick. Adam Bennett, chef director at The Cross in Kenilworth with Tom Kerridge and the kitchen team at The Cross. In December it was announced that the festival would be heading to Warwick and Tom hopes that the local community will enjoy the event as much as others have in the past. He said: “The first Pub in the Park was three years ago in Marlow as a one-off and it was such an amazing and fantastic event. We wanted to do it again and so we looked at other areas that have a similar sort of make up as Marlow; a lovely, proud community that’s got an interest in food, where people want to enjoy time out and spend time with family. 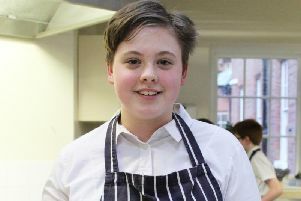 Among the renown chefs heading to Warwick, Adam Bennett, chef director at The Cross in Kenilworth, will also be joining the event. Pub in the Park Festival. Photo supplied. Speaking about the festival Tom said: “There will be local representation from The Cross and fingers crossed hopefully more. “If we just showed stuff from the area it doesn’t sprinkle a bit of stardust. The idea of people like Angela Hartnett coming to Warwick is really cool. If this year’s event is a success Tom is hopeful that the town will become a regular location for the festival. He said: “I am so looking forward to coming to Warwick and Warwickshire is a beautiful part of the world. I love it very much and I have known it from a young age. “At the same time I am looking forward to The Cross being there and showcasing what they do. Speaking about joining the festival, Adam Bennett said: “We can’t wait for the festival. We love this sort of stuff. You spend all your time in the kitchen and you don’t get to communicate with your mates and peers so these sort of things are fantastic for that. “We’ve been here for five years and still talk to people who aren’t quite sure where we are or what we’re doing so it’s going to be a great event in that sense as well. “I am from Coventry and where we (The Cross) are, it is like the eating quarter of Coventry. Warwick’s Pub in the Park takes place from July 5 to July 7. Tickets go on pre-sale on January 31 and those who wish to buy tickets in the pre-sale need to have signed up to the newsletter to get access. General ticket sales will be on February 1. The first music acts and restaurants for Tom Kerridge’s Pub in the Park festival in Warwick have been announced. Tom’s restaurant The Hand & Flowers will be showcased and the man himself is set to appear. 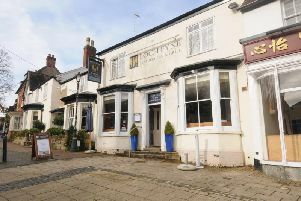 Joining Tom will be Michelin-starred pub The Cross in Kenilworth. Adam Bennett, chef director, will be showcasing what The Cross has to offer at the event. Other restaurants include: The Half Moon in Kirdford, owned by Jodie Kidd; The Hardwick in Abergavenny, owned by Stephen Terry; Cafe Murano in London, owned by Angela Hartnett; and Sindu in Marlow, owned by Atul Kochhar. Two restaurants are still to be confirmed. The festival will also feature a line-up of around 15 music acts including: Tom Odell, Scouting For Girls, Will Young, Razorlight, Toploader, The Rifles, The Christians and Stereo MC’s. The Pub in the Park team are also keen to hear from any local artists or bands that would like to be involved in the festival. Those interested should get in touch via Pub in Parks’ Facebook page, Twitter or Instagram.